How to order my design at Sribu? 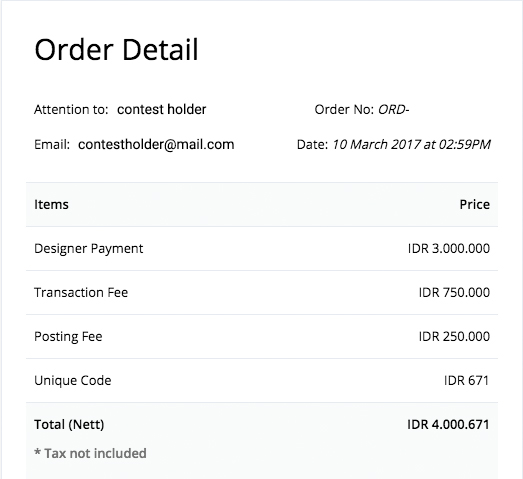 Once you are registered as a client at Sribu, you will be directed to the Create Contest page. 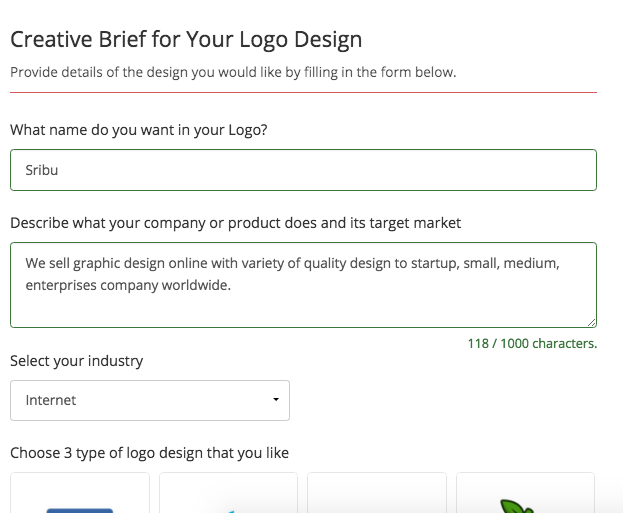 The page contains several design categories that you can pick based on your needs. Simply click on the category you need. 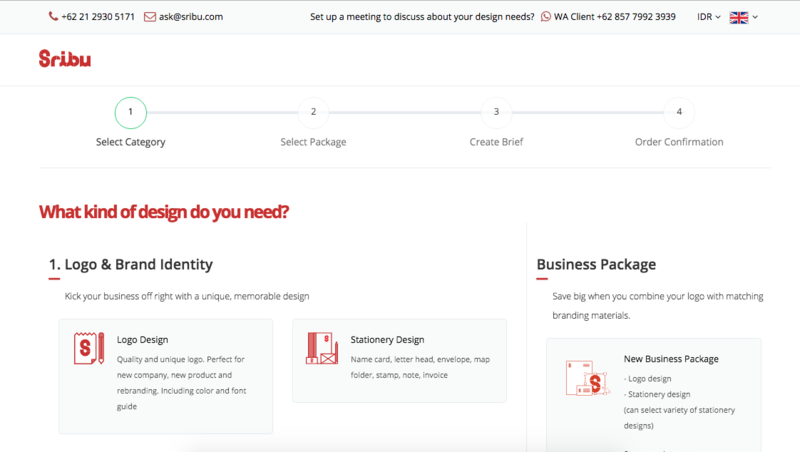 Other than the separate design categories, Sribu also provides a combination of design categories ie : Business Package and Combo Package. After selecting the design category or the combination package, you will be directed to 3 choices of Sribu best price package: Gold, Silver, and Bronze. Each package has its own advantages, for example : Gold is the package with the best quality, Silver is client's favorite, while Bronze is our starter package with the most affordable price. If you have a voucher, key in the code for the discount as per the term and conditions that apply. After selecting the price package, you will continue to the brief page. Explain all the design instructions in details. Then follow the rest of the page flow that is specially designed for your business convenience. There are also premium features (not included in the price package) that you may add to get more benefits such as Private Contest, Confidential Contest, Extend Contest Duration for 3 days, and Guaranteed Contest. If you choose any of the premium features, our partner will contact you within 10 days after the contest date for more details. When the brief is completed, click the "Continue to Payment" button. The next page will contain your payment information for your order review. You can still key in the voucher code you have to get a discount as per the terms and conditions that apply. Click the "Download Proforma Invoice" button if you need it. If you are certain of your order, select your payment method (via bank transfer, Paypal or credit card) and click the "Complete This Order" button.